Dialogue is spoken communication between characters. The purpose of a tag line is to let your reader know which character is speaking. As a reader, we hardly notice the tag lines. “He/she said” is boring, and our eyes are used to reading said. We want to know what’s between the quotation marks. Seriously, can a person “screech” or “Sigh” or “acknowledge” words? Can you “laugh” a sentence? Instead use descriptive words to create motion or response in your characters. Over use of anything besides “said” can be annoying. Think of how you can use narrative in place of tag lines. One of the best resources for an explanation of dialogue is the book WRITING REALISTIC DIALOGUE AND FLASH FICTION by Harvey Stanbrough. I highly recommend this book as an addition to your writing reference library. If you read the same passage above out loud omitting the tag lines, it reads the same. In fact, we might even say that the tag lines of cooed and exclaimed are somewhat annoying. You could add a he said or she said if you want, but the action and narrative helps us know who is talking. The imagery is still the same no matter what tag lines you use. 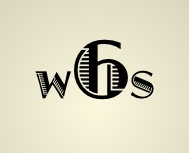 Happy writing and thanks for following WordsmithSix! If you’ve ever been to a writers conference or taken a writing course, you’ve probably heard that term. John kicked the door in, stormed across the living room, slapped Maria, and hurled Joaquin through the window. How is that for imagery? No question how John is feeling, is there? That example is from a session I attended with Harvey Stanbrough, who is a short story writer, poet, and writing instructor. He’ll be back in Amarillo for the Frontiers in Writing Conference June 28-30.